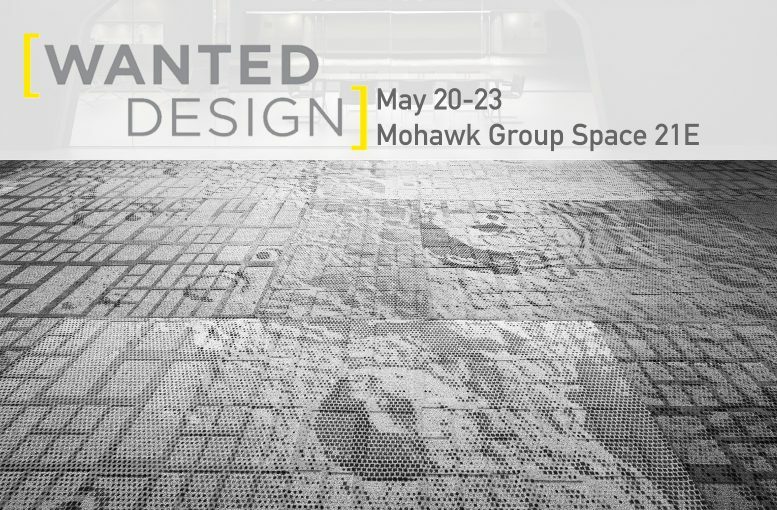 13&9`s latest design collaboration with Mohawk Group, the innovative flooring collection Moonscapes, will be exhibited at WantedDesign from May 20 – 23 May, 2017 at the Terminal Stores in Manhattan, New York City. During exhibition days, starting at 4pm, Anastasia Su and Martin Lesjak will introduce their conceptual design transformation of the Moonscape by using precise geometry and printing technology in this three-dimensional flooring product. Symbolizing a constantly growing interaction between ourselves and the universe, the print artwork for this broadloom collection was created by first photographing the moon surface with an astronomy camera an then abstracting that visual into precise geometrical patterns. The print [surface] reflects the graphic representation of the authentic moon landform including contour lines, contrasts and shading applied with precise dye injection printing on the relief carpet construction. Either admiring from a distance or by walking through the space, the geometric pattern of the image, as well of the reliefs, create a subtle visual depth and sculptural impression of the abstracted moon surface transporting the individual with a feeling that they are walking on the moon.